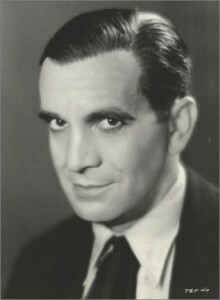 Jolson was one of America’s premier entertainers beginning with his days in Vaudeville and his starring role in the first feature length talkie, The Jazz Singer. Jolson also brought his unique musical style to radio in 1932 for Chevrolet. He’d continued to be a ratings draw for many years with programs such as Shell Chateau and the Kraft Music Hall. Jolson’s popularity in the early 1940s but picked up after the war with the release of The Jolson Story and then Jolson Sings Again. This made Jolson in demand both as a star and as a guest performer. Throughout his career, he remained one of his era’s greatest entertainers, and also one of its most beloved radio stars. 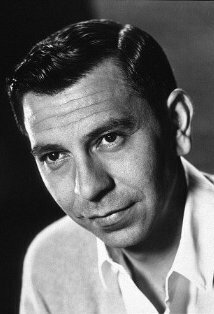 Jack Webb came to radio at the right time in 1946. He began in San Francisco on the historic KGO-AM. The station was trying to compete for national radio attention in a national radio market dominated by Hollywood and New York. He tried out several formats including a Comedy/Variety show and a news commentary program before with writer Richard Breen, he created the role of Pat Novak for Hire. The sardonic sometimes detective Novak spoke in a way that was unique to that time or any other. In 1949, he returned to his signature role as Pat Novak in a national series that added to his acclaim. However, the series was set to go on Summer hiatus and Webb needed money. Of this necessity was born Webb’s greatest creation, Dragnet. Influenced by a conversation he’d had with an LAPD officer and movie consultant who didn’t particularly care for radio private eye shows and their portrayals of incompetent or brutal cops, Webb had been challenged to make a show that showed how policeman really worked. So in June 1949, NBC premiered Dragnet which would last for more than six years over the radio. Webb as producer/director brought listeners the highest quality of sound effects and took them right to the scene of the crime on the side of the law. Unlike most crime shows, Dragnet didn’t focus exclusively on homicides but covered nearly every area a detective might work in including missing persons, bunco, and robbery. Dragnet’s portrayal of the police as ordinary middle class heroes offered a fresh contrast from prior portrayals which portrayed police alternately as super cops or as bumbling fools. Dragnet changed the shape of the crime drama and it would have many imitators such as 21st Precinct, Tales of the Texas Ranger, and The Line Up. Had it not been for television, Webb’s entire career may have been defined over radio as the vanguard of a new generation of radio producers. His radio work waned and ended in 1955 as he focused on Dragnet over television and several film projects. Still, in his years on the radio, Webb raised the bar for excellence for everyone who would come after. i would have picked amos n andy as number 1 you don’t even have them in the top 10 why?